A starched shirt, crisp and tailored, shaping your Monday-Thru-Friday body like a glove. A close shave, a spritz of cologne, and a fresh cut. You accessorize appropriately, pairing the perfect tie, socks and pocket square with your blazer. You’re ready for the big event. “Cheese!” You smile, revealing peaches and cream corn rows of a regular brush, floss and semi-annual cleaning. Could it be better? Sure. You grind your teeth at night, you brush on occasion, you floss with the regularity of Cleveland Browns playoff wins. Coffee, tea, wine, blueberries, tobacco… there are many reasons why one would have stained teeth. But the reasons to have white teeth are far more plentiful. Are your teeth made of wood? Your smile lights up a room. It’s a chandelier, set to a moment. Laugh, and it lights up a room. Pearls that showcase the gateway to your soul. When was the last time you saw yellow pearls? Smile. You’re taking a picture in a poorly lit room, with a limited lense. Your teeth will show. Are they yellow? Do you like yellow? When you smile, do people yell, “Taxi!”, as if they’re hailing a Yellow Cab? Do you notice people using the descriptor, “bananas”, in place of “crazy/strange/weird..” while in your presence? You hear, “…it was all yellow…” on the radio. A chorus from a Coldplay song. And you immediately assume it was dedicated to you. “I really like having white teeth.” Me. “I really like having stained teeth.” You. 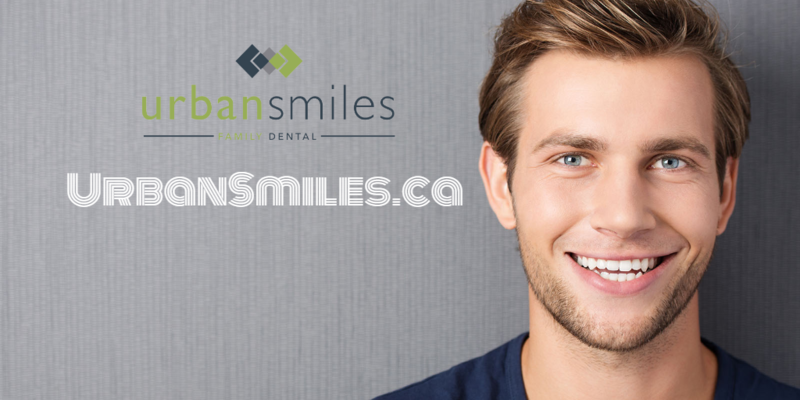 Urban Smiles Family Dental can help you achieve a whiter smile. Why wait?